WHAT DO YOU MEAN I CAN’T TAKE IT ALL WITH ME? I suffer from Acute Over Packing Syndrome, which means I romanticize each place I visit and think of particular outfits for particular scenarios. For instance, I will plan to wear my black and white stripped dress while in Paris (apparently every woman in the world thinks to do this), and I will wear my cargo shorts in Norway to hold a pocket knife lest I get lost in the wilderness, and I will bring a longer dress with sleeves in Italy so I am allowed to go into Catholic churches (yes, that’s a thing). There’s a fine balance between bringing enough so you don’t have to wash your clothes in sinks and bringing so much that you can’t fit souvenirs. My friend Sterling takes the former approach, and I the latter. After mocking me mercilessly for packing my entire wardrobe for a 3 week trip abroad, she forced me to pack my clothes into packing cubes, which ended up being a brilliant limitation for me. We had an intensive travel schedule; we spent 1-2 nights in each city before leaving by train, plane, or car to our next destination. That kind of schedule does not allow for multiple outfits a day. Europe in general does not allow for American-sized packing ideals with their tiny cars and their intercontinental planes with strict carry on restrictions. I ended up only using a third of the clothes I brought to Europe initially, mostly because I learned that I could re-wear the same outfits in different cities. Gasp! Lesson learned, Sterling, lesson learned. And now I shall pass this wisdom onto you. Additionally, I would caution you against bringing luggage and bags that you are dearly attached to. There’s no guarantee they won’t get lost, stolen, or broken into. I know, I know, you purchased your Louis Vuitton suitcase set specifically for your trip to Paris. 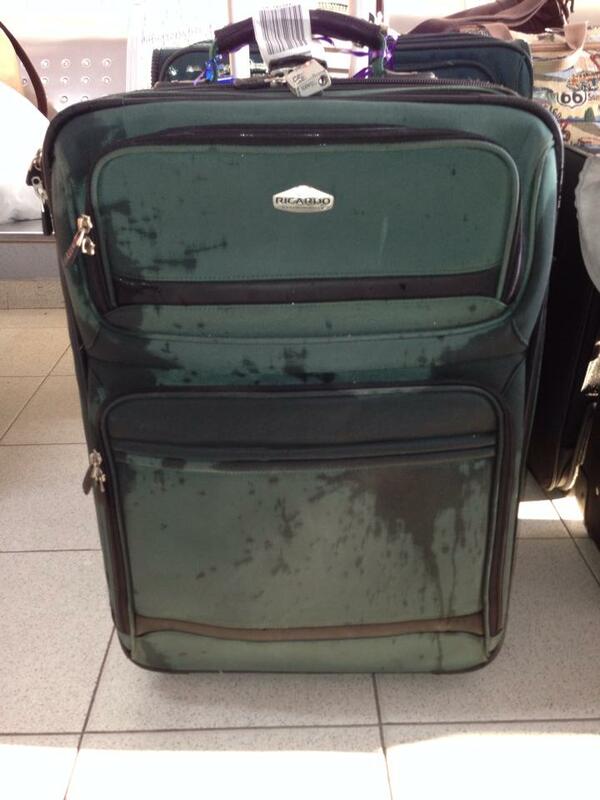 But allow me to paint you a picture of a very real scenario in which yours truly had an incident with a suitcase in Colombia. It was the summer of 2014, a hot summer indeed in South America. I was traveling to a tiny little town in Colombia for a missions trip with my future employer, super pumped about visiting the beautiful untamed wild of the Amazon. We flew into a tiny one building airport and unloaded onto the tarmac. Our bags were loaded onto a truck and brought to the conveyor belt inside the modest building. There were several beautiful dogs sniffing the luggage before they were unloaded, presumably checking for drugs. (You know…Colombia, drugs, it’s a thing.) My team’s bags were unloaded and the dog jumped up on the conveyor belt and started walking around and on top of the bags, sniffing as he went. I commented on how beautiful he was to my travel buddy, but was inwardly a bit worried a drug mule stashed something in my bag as the dog seemed keenly interested in it. Before I knew what was happening, the dog perched himself on top of my bag, lifted his leg in the air, and urinated on top of it. He wasn’t cute anymore, let me tell you. My mission trip buddies didn’t waste any time cracking jokes. My bag was “baptized” for our missions trip. Despite the initial annoyance, I found this situation hilarious. I’m glad it happened to me and not another member of our trip, because I had specifically brought this bag to Colombia because it was old. The bag is by no means ruined. It serves as a funny anecdote, and more importantly as a lesson to you, dear reader! Bring less stuff, and bring it in bags that serve a practical purpose only! Stay tuned for more Quick and Dirty Tips for International Travel by following my blog. Check out Tip #1. Connect with me on Twitter, Google+, or Instagram!